It’s funny how when writing about ancestors in the past, it seems easy to be objective and base stories on discovered facts. When writing about more recent people and events, the concern is a lack of objectivity. Having said that, I’ll continue with the story of Dad’s working life which will inevitably be from my perspective more than anything else. Growing up in a railway home, you are aware of two things: the dominance of shift work and its impact on eating and sleeping habits, and the dangers facing the railway workers from day to day. Having read several railway staff files for family members, the department could be unforgiving with mistakes, fining men for any errors (however minor), and occasionally remunerating them for an innovation. 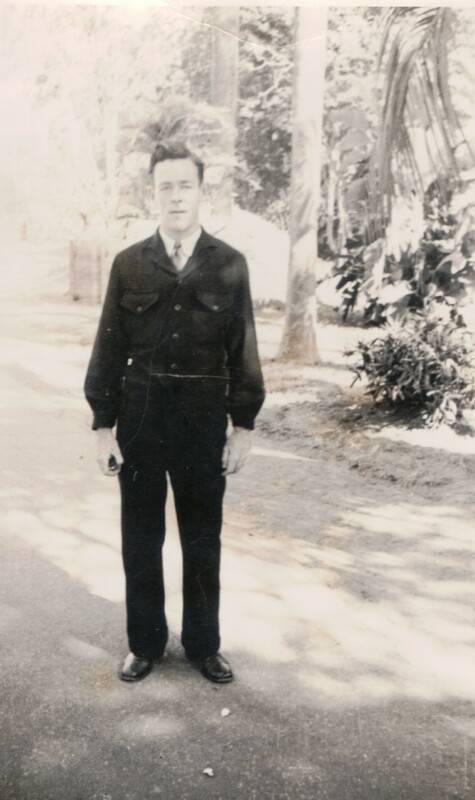 It’s likely that Dad started as a lad porter in the Queensland Railways, straight after Grade 10 and just before the beginning of World War II. He had brief stints in Landsborough and on the Gold Coast line, however he spent the bulk of his 50 years of railway service in Roma Street. Once he gained appointment as a numbertaker the rest of his working life was in the Roma Street (aka Normanby) shunting yards and he was working there by the mid-1940s. The usual response is “an undertaker? ?” No, though it could be argued there were times when the railways could have done with that occupation. 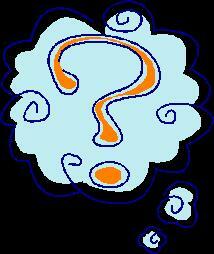 In fact, a numbertaker is quite different and is also known as a tally clerk in some services. To this day I’m uncertain about the exact responsibilities of a numbertaker but my understanding is that his duties included checking the weight distribution of wagons and the sequence in which they were loaded, so goods could be off-loaded in the correct order. He could add columns of figures up, quick as a wink, in his head and I saw him do this many times. In fact, when I was struggling with mental arithmetic in Grade 3 or 4 it was Dad who managed to make me understand it, rather than the nun who taught me. The next level up in the ranking was a shunter, and Dad never wanted that job given its high risk. Whether something deterred him when he was young I don’t know, but I do know is that even as a young girl I knew when he’d come up devastated because some young bloke had lost his life or his limb during a shunting accident – and the significance of the injured man trying to feel his leg(s). During his life with the railway he saw this type of accident, and worse, more frequently than anyone would like. Apart from the hazards of the shunting yard in and of itself (an occupation I’ve read in a journal is more dangerous even than mining underground), there was the lack of what we’d know as Occupational Health and Safety today. The men wore heavy navy blue serge uniforms which of course which made them nigh invisible at night or in bad weather. There were no high visibility jackets available at the time. Similarly, there was no arc lighting over the yards, rather the men carried a special type of kerosene lamp as they went about their duties. Imagine, if you will, these hazards combined with criss-crossing train tracks and the sheer tonnage of trains around them especially as they got further into their shift with associated tiredness. At a minimum they worked an eight-hour shift, walking between Roma Street and the Exhibition grounds. My mind boggles at how many kilometres and steps he’d have notched up on a Fitbit of today. In the 1970s, when he was in his 50s and we lived in Papua New Guinea, I remember there were many times when he worked extended shifts, sometimes as long as 16 hours. It has taken a long time, but I no longer get anxious with late-night phone calls – when we knew he was on shift it could strike fear in your heart. 1951. Cities and towns – Brisbane’s main railway goods yards near Roma Street Station, the main suburban line terminal. 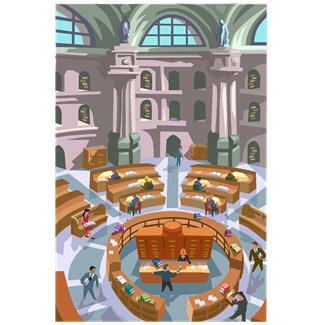 National Archives of Australia, out of copyright. The photo was probably taken from the bridge across to the Grammar Schools. The huts on the right hand side are where the men had their smoko breaks. During the war, the railways were a reserved occupation but before his death Dad told me how he’d had to supervise Italian POWs working near Corinda station. They would start early and work like crazy so they could “chill out” once they’d finished their duties. He always said that had he gone to war he’d have like to have been with the Ambulance Corps…he saw enough accidents that he knew he could cope. Brisbane Victory Celebrations – World War II, VP Day 15 August 1945, Queensland Police Museum. Somewhere among my notes, he told me once about talking to a policeman about the events of the Battle of Brisbane. When the war finally ended, Mum told me he was pretty peeved to be on duty and unable to go into town to celebrate with the crowds. 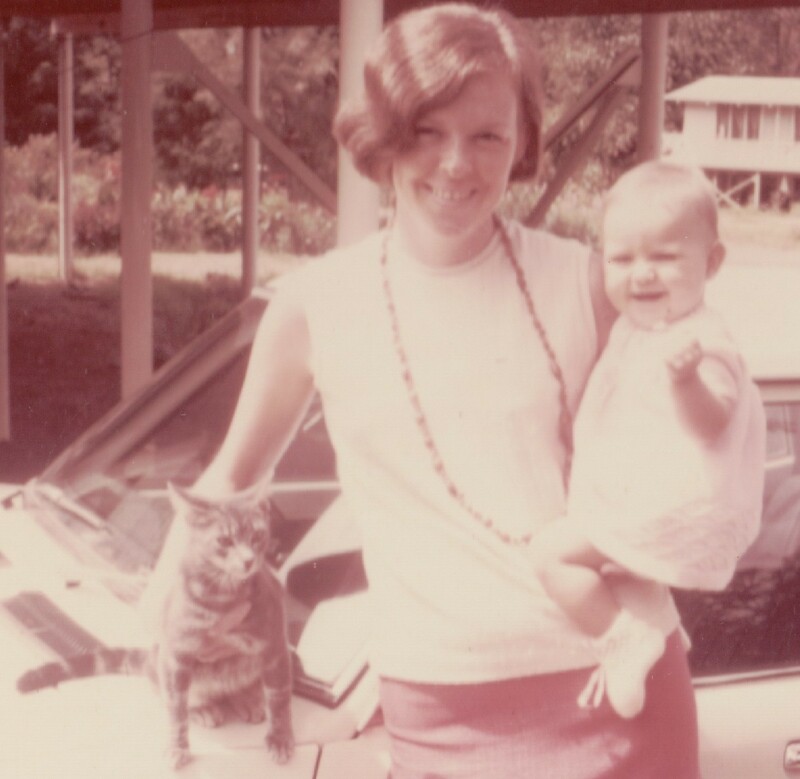 Although Dad had learned to drive a car as a young man, we didn’t own a car until the late 1960s. He rode an ungeared pushbike to and from work every day….add that to the Fitbit tally! He would stop at the corner of our street before the hill, and wave goodbye – again part of that “you never know what will happen” concept. All that fitness probably helped him a great deal aerobically and offset the effects of smoking at the time. However my own view is that his years on oxygen with emphysema had as much to do with coal dust in the yards as smoking. He caught pleurisy when he visited us in PNG in the early 1970s and our friend, the physician, said he had the worst lungs our friend had ever seen – full of coal dust. On top of that he acquired industrial deafness, unsurprising in that environment, for which he was granted some compensation. This wonderful photo gives a clear idea of why a worker’s lungs might be full of coal dust. Image from Flickr of a PB15 class locomotive shunts the Roma Street railway yards at the Normanby end.photographed late 1960s. Image by Leonard J Matthews, Creative Commons. I mentioned the shift work which dictated our family activities to some extent. No air-conditioners then to offset a hot summer’s day in Brisbane when sleep was needed, and heaven help anyone who made lots of noise or who hammered on the door. Probably just as well we didn’t have a phone either! Throughout Dad’s working life, at least as I was growing up, his shifts rotated through 6am to 2pm, 2pm to 10pm and 10pm to 6am. He would then do three weeks of 2-10 in sequence, making it difficult, surely, to adjust the sleep patterns. Nor was there a regular weekend for family outings. Of course they also worked hail, rain or shine and he swore blind that he’d seen snow flurries on the night shift in June 1984 when we were in New Zealand, hoping for snow. “St Hanlon’s Day” march and railway strike was held near Trades Hall on Edward Street, 17 March 1948. Evocative of the scenes of “right to protest” marches, Brisbane, 1966. Dad was a strong union man though his union was not a large one. He could be vocal about expressing his opinions at the meetings, or so I’m told. It’s hardly a wonder, given the abysmal standards of OH&S. When the contentious 1948 St Patrick’s Day railway strike took place, Dad witnessed what happened, though I believe he was not marching. I wonder if any of his Kunkel cousins were on Police duty that day. He would use this experience to warn me against political marches in the 1960s “if I ever wanted to have children”. The breaking point for Dad came when they introduced computerised systems. This was all too much for him and he decided it was time for retirement. The men gave him the gift of a recliner, funded from their soft-drink machine purchases…a gift that gave good service as ill-health overtook him. He also received a Railway service medal. Eventually the coal dust and cigarettes took their toll and he had repeated bouts in hospital. Each time I returned to Darwin, I thought might be my last farewell so when the final farewell came, the impact was less of a shock. I had managed to catch a flight with minimal time and spent the last nights with him at the hospital along with my other half, and one of our daughters. Dad on the Kookaburra Queen for his 80th birthday. He’ll probably haunt me for including this photo, but for me it highlights his blue eyes – his DNA bequest to two of his great-grandchildren. Snowy white hair like his mother, but when he was young he had jet black hair and a red beard. On the national stage, those few days were eventful: Kevin Rudd, and the ALP, were elected into federal government ; the Northern Territory government got a new Chief Minister, Paul Henderson, and the long-term asbestosis campaigner, Bernie Banton, also died. The Normanby goods yard and the men’s mess room are no longer there. The men’s smoko sheds have been overtaken by a bus interchange and Grammar School buildings. Classy apartments are on the site where dad worked, and the beautiful Roma St Parklands look out over what was once a maze of shunting tracks. Next time you pass by along Countess St, or visit the Parklands, give a thought to my dad and his colleagues who gave their lives to the service of Queensland Rail and successfully delivered freight the length and breadth of Queensland. One hundred years ago today my grandfather, Denis Joseph Kunkel, was at sea en route to England thence to the war in France. James Edward (Front left) and Denis Joseph Kunkel (centre) and unidentified friend or relation c 1917. He had volunteered with his younger brother, James Edward, on 22 October 1917 probably as part of a push at the time to recruit qualified railway workers to work on the lines to the front in the north of France. I wrote about his life-long railway career some time ago. Denis would join the 5th Australian Broad Gauge Railway Operating Company and given the rank of Lance Corporal. We don’t know why Grandad left it until 1917 to enlist, as his much younger brothers had already joined up along with their cousins and he had already lost two cousins in the carnage of France and Flanders (James Gavin and James Paterson). Perhaps he was older and wiser, or perhaps he’d been reluctant to serve in a war against Germany while his Bavarian-born grandfather was still alive. Perhaps it wasn’t until the call for railway expertise that he thought he could contribute. We will never know. At the time of his recruitment Dinny was already living on the Ballymore Estate where I’m told he was renting a room at 33 Bally Street. His attestation records document that Dinny was aged 37 years and 1 month, 5ft 6inches tall, weighed 165lbs, had a fresh complexion, blue eyes and brown hair. His chest measurement was 36-39 inches. He had a scar on his right thigh and another on his left knee. He was regarded as medically and dentally fit. Denis gave his religious denomination as “None” though a later notation has been made to suggest that on the rolls he had given Church of England as his religion. From a family point of view this is interesting because his parents, and grandparents, were devout Catholics. Family anecdote tells that he had a major falling out with the clergy out west (obviously pre-dating his enlistment) and he never returned to Catholicism. Denis left Brisbane by train for Melbourne and was accompanied by his brother, James. Gossipy war news was part of the journalism of the day and on 5 November 1917, The Toowoomba Chronicle reported that “On Tuesday’s troop train, Privates James and Denis Kunkle (sic) passed through Toowoomba for the front. They are sons of Mr Geo. Kunkle of Toowomba and well known in this district. They are also nephews of Mr Gavin, of Pechey, who has five sons at the front”. Their much younger cousin, Anne Kunkel, who was only a child at the time of the war, remembers that the Murphy’s Creek school children would see long trains with “carriages of khaki-clad young men going off to war” as they passed through en route to the south. She also remembered meeting Dinny at some stage when he returned safely from the war. 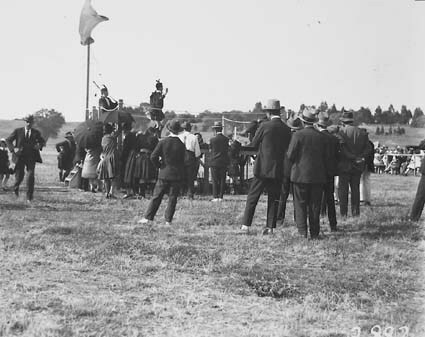 This photograph shows the interest of the men in the Crossing the Line ceremonies. Image by C.W.L Muecke, copyright expired. Image J06289 Australian War Memorial. Denis sailed to war on the ship Port Sydney which left Melbourne on 9 November 1917. I was fortunate that there was an enthusiastic photographer on board, documenting some of the sights and events along the way. Today I’ve also discovered a digitised copy of The Limber Log, a souvenir journal on the voyage edited by Lt H Garland. (As it’s under copyright, those who are interested will need to follow the link). It includes references to the joy and pangs of the departure, the sad death of one of the railwayman soon after leaving Colombo, and his burial. Many of the comments will raise eyebrows today with their political-incorrectness and racial slurs, but it’s well worth a read if you had relatives on this voyage. At the end of the journal, they included a Roll of Honour of all the men on board, including one Corporal, Kunkel, D J. Unidentified soldiers, probably British, grouped around two 12 inch howitzers on Railway Hill used to support the Australian troops. The howitzer in the foreground is mounted on railway tracks, which allowed it to be moved to take up different positions along the railway line. Note a railcar on the right and piles of sandbags in the background. Australian War Memorial image E04615 out of copyright. While this is an Allied weapon, there would have been similar on the German side. 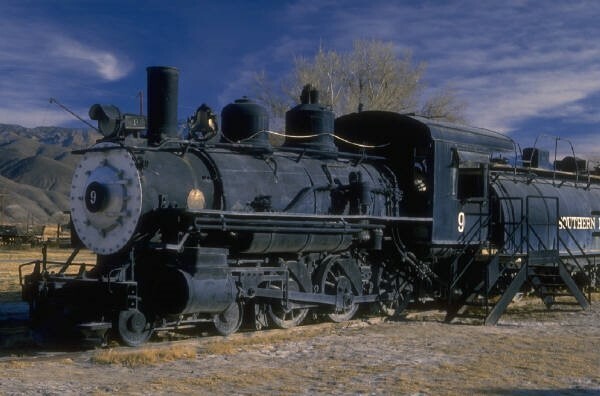 My father recalled that Denis, as part of the ABGROC, was responsible for taking the heavy artillery to the Front along the railway line, unloading heavy weaponry, then quickly re-hitching the engine to make good their escape before the German’s “Big Bertha” gun could get a “line” on them. The 49th Battalion’s historian tells us that the Australian military had railway lines as extensive as those of the British. The threat may have been very different from that experienced by the front-line troops who had to go over the dugouts, but having heavy weapons taking a line on a large piece of rolling stock would surely have made the heartbeat race! The railways were pivotal to the movement of men and supplies and the railwaymen played their part, however mundane, and largely forgotten. The war diaries provide a surprisingly rich description of life for the members of the ABGROC. A few years ago we did a tour of the Western Front and I asked if it was possible to visit Poperinghe, near where my grandfather had worked at Peselhoek. At the railway station, I went down the platform looking for someone to speak to. My first reaction was to speak in German (hmm, perhaps not a good idea), and as my French is very poor and my Flemish non-existent I was dithering about what to do. Along came our tour guide and did the obvious: spoke in English to the railway worker we saw. Ellarsyde. Broad gauge and light rail tracks and rolling stock at a railway yard near Ypres. On the far left some wagons are standing on the heavy gauge rail tracks; on the adjacent light rail tracks are several sets of flat cars, some loaded with building materials. On the right are some locomotives. The light rail was used to take the men and material closer to the front. Australian War Memorial Image C01384 out of copyright. In a bizarre Who Do You Think You Are moment, the gentleman went into his office and then handed me about six photographs taken around 1917-1918, as well as talking to me about where the lines went. I was beyond thrilled and quite blown away by it. The guide swore blind he had not organised it, and as he was very chuffed with what I’d got, to this day I don’t know if it was serendipity or pre-arranged. Either way I was extremely happy to have a better sense of where Grandad had been during the war. 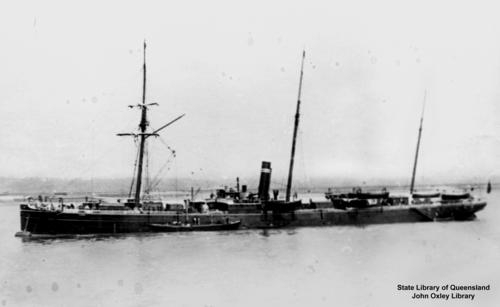 It has to be said, that compared to many, Grandad’s war was a short one, less than one year, although he did not return to Australia until August 1919 on board the transport ship Karmala. It seems the men had a fairly lively time of it on the way home with a wide array of activities. An orchestra was established and dancing took place every night. An on-board newspaper was established called the Karmala Kuts. No doubt Dinny, who liked a good joke, rather enjoyed the railway-based story which appeared in Vol 1 No 2. Sports were held daily and chess, bridge and drafts competitions occurred. The men also had four lectures from the ship’s master who had been a member of Scott’s polar expedition. Education classes were also offered. Yet again the men were given gifts from the Comforts Funds with 1000 pairs of socks distributed. The ship stopped at Cape Town, Fremantle and Adelaide on the way home. 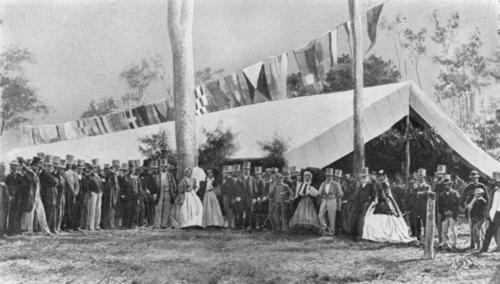 “The people of Cape Town were very kind to the men who had a splendid time there with picnics, dances, motor trips etc”. It is difficult to imagine in this day and age how mature men would respond to such simple pleasures. Denis disembarked in Melbourne on 17 August 1919. His military service was at an end. 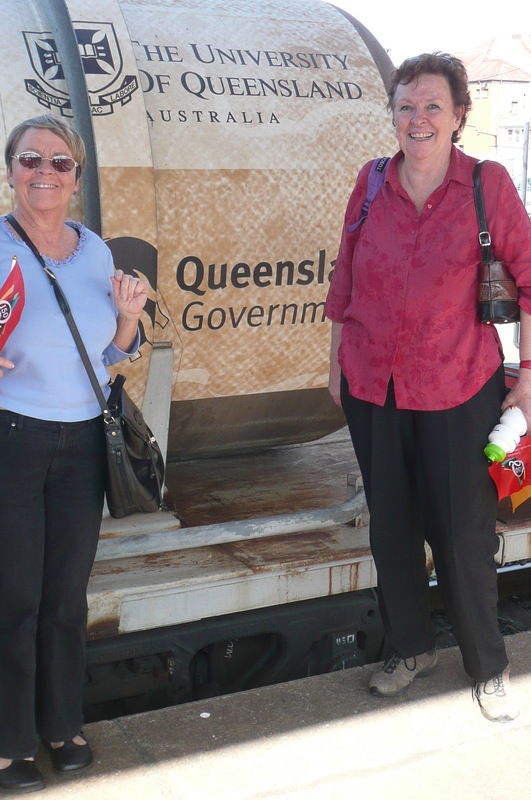 UPDATE 16 Nov 2018: Grandad and other Queenslanders from the Karmala travelled home on a special train. His return and arrival in Toowoomba was recorded in the Darling Downs Gazette [HOME AGAIN (1919, August 20). Darling Downs Gazette (Qld. : 1881 – 1922), p. 6] . To the best of my knowledge, Grandad never went to Remembrance Day ceremonies, though he was elderly when I knew him and perhaps did so when he was younger. His service medals and his RSL membership badge have been safely preserved in the family. As far as I know no photographs of him in uniform have survived. Check out the treasures to be found at the Australian War Memorial including war diaries, photographs and personal diaries. I wrote about them here. Are you looking for the service records of your WWI soldier? You can search through this link (select WWI) where they have been digitised. It’s also worth looking at the digitised collections of the Imperial War Museum, especially for photographs. There are also often letters/stories home in the local newspapers of the day. Our good friend Trove may have the answers. The Courier-Mail, 23 October 1917, p. 8 reports on the previous day’s volunteers including the two brothers. Denis Kunkel’s service number is 2311. This was atypical of the Kunkel height genes. Sons were James, Stephen, Patrick Joseph, George and John Joseph. James was killed in action in the Battle of Fromelles on 19 July 1916 and is buried in the War Cemetery at Rue Petillon, near Fleurbaix. He is remembered on the War Memorial in Crows Nest. Toowoomba Chronicle, 5 November 1917, p. 5. F Cranston, Always Faithful: The History of the 49th Battalion, Boolarong Publications Brisbane, 1983, p. 18. “Any activity out of the ordinary, such as …a light railway at work… served as a tonic for the Diggers”. D Winter, Making the Legend: The War writings of CEW Bean. UQ Press, Brisbane, 1992, p. 154. AWM7. Karmala 4. Report on the Karmala 17 August 1919. 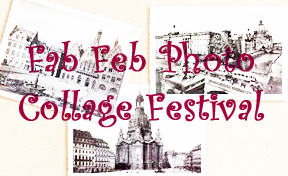 This week’s Sepia Saturday 243 is one of those topics where a personal theme leaps to mind. Every family has its story traditions and family anecdotes, perhaps even about get-rich schemes and near misses. All my life Dad used to tell the story of “the one that got away” in our family. 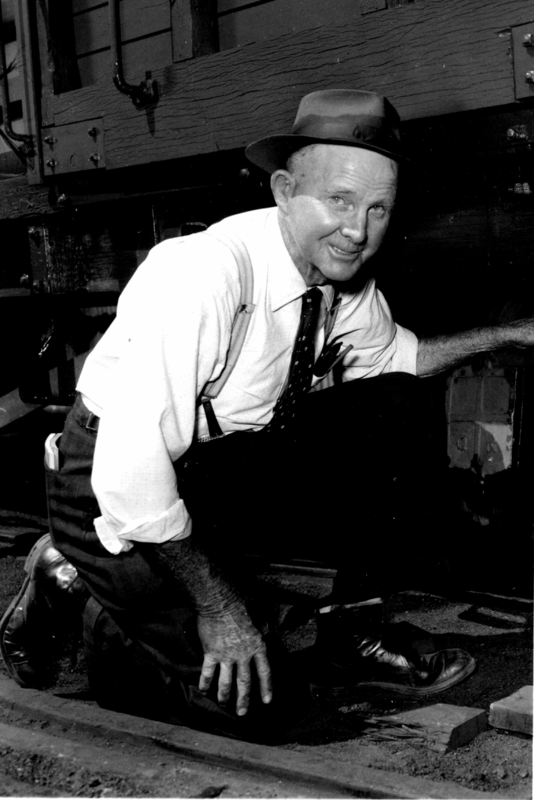 My grandfather who I’ve written about before, worked for the railway all his working life. 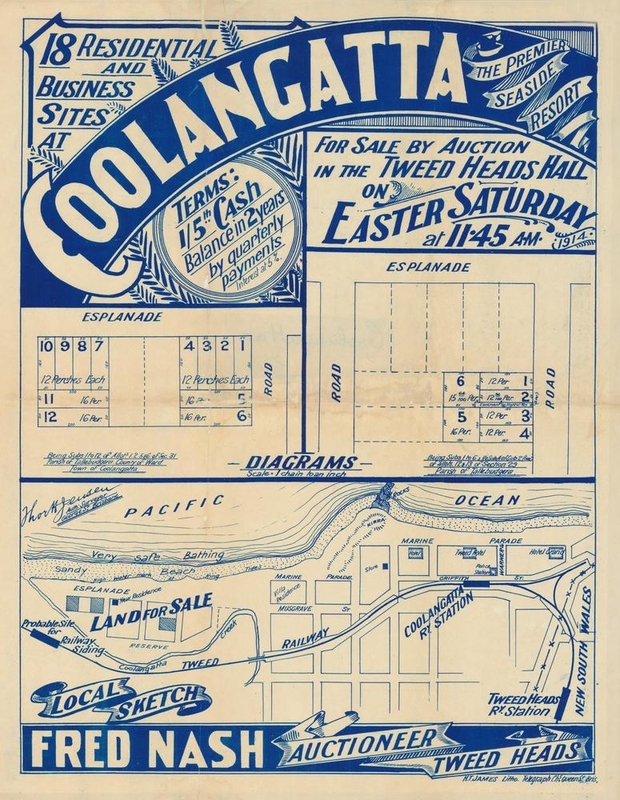 At one stage, perhaps around 1900-1910, he worked on the rail line that went from Brisbane city to the interstate border at Coolangatta. I don’t know about other countries, but here in Oz, a twin town (as opposed to towns twinned with overseas), is one that has a matching town on the opposite side of the (state) border. Coolangatta is one such town, sitting right on the border of Queensland while across the Tweed River sits its twin, Tweed Heads. One of the quirks of these twin towns becomes obvious with the start of daylight saving each year. Queensland doesn’t “do” daylight saving (no, I’m not going there with that topic!) so for six months or so, Coolangatta is 30 minutes behind Tweed Head. Could be handy if you urgently need shops which close promptly at 5pm. Dad told me that while Grandad was working on the Gold Coast railway line they used to fish for stingrays in the river using star pickets…those long metals poles with three sides. Personally I think that was a bit unfair on the fish, to say the least, but it is still a part of local lore. But the one that got away wasn’t a monster fish, rather the real estate deal that might have made the family fortune. The story goes that he was offered a beach front block of land at Coolangatta for a tiny sum, £100 springs to mind. Given that property on the Gold Coast now sells for seven figure amounts, we were dazzled by what might have been, not to mention the sheer bliss of living within sight and sound of the surf and the ocean. But it was not to be, and perhaps even if it had, Grandad would no longer have had the money to buy the land that our family lived on for 96 years….the turn of the fate wheel. Coolangatta has never been the glitzy, glamour (tarty?) queen of the Gold Coast, that role was left to Surfers Paradise. That didn’t stop Coolangatta’s nearby beach, Greenmount, being a big hit with families as a holiday destination. 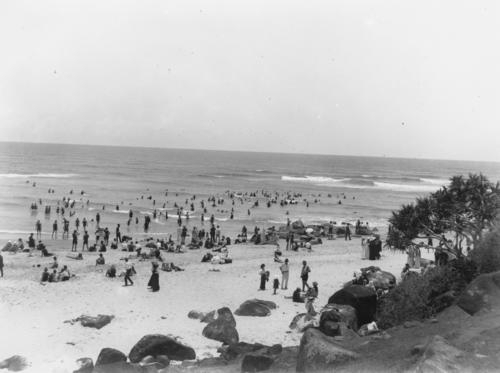 I recall that we had only one holiday at Greenmount, compared with the several we took up the coast a little at sedate but beautiful Currumbin. Pauleen at the Porpoise Pool, Snapper Rocks. Apart from the attraction of sun, sand and surf at Greenmount, one of the big “pulls” during the 1960s was the Porpoise Pool run by Jack Evans at nearby Snapper Rock. It was de rigeur to visit the attraction and see the trained dolphins leap from the pool to catch their fish. (You can see a video here). Afterwards it was almost inevitable to have a photo taken with Sammy the Seal, another feature of the attraction. In this photo of me I would have been about 12. I remember that rainbow top, which Mum sewed, very vividly especially the texture of the fabric. Part of the reason our family was able to visit the border towns was because of the railway line. Dad’s annual railway pass made it possible for us to travel close to our destination – an important factor as we had no family car. The lack of a car was unfortunate also because, dare I say it as a loyal Queenslander, there’s some spectacular scenery and beaches just south of the border….an area our own family grew very fond of in later decades… I wrote this story about it a while ago. It’s always good to know that families aren’t the only ones to have near-misses…Queensland Rail closed the line to Tweed Heads in 1961 and to Southport in 1964, no doubt due in part to the increased numbers of people who owned their own cars. Decades later they had to rebuild the same line to cope with just some of the burgeoning commuter traffic. The one that got away indeed. Don’t forget to visit the other Sepians to see which beaches they’ve visited or how they interpreted the image. PS: I’ve just noticed something my sub-conscious may have latched on to earlier. The man in the suit in the foreground reminds me of a photo I have of my grandfather. 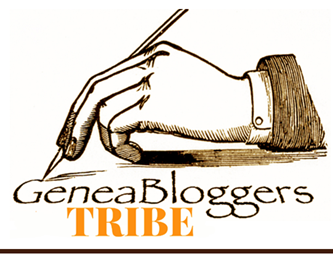 Shauna Hicks has initiated a new 52 week series of prompts, Genealogy Records. We’re only into Week 3 but there have already been some interesting topics: Military Medals, Internal Migration and Probate. 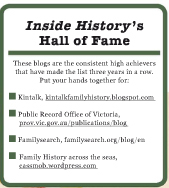 Over the past few years I’ve done several 52 week series: Personal Genealogy and History (2011), Abundant Genealogy (2012) and my own Beyond the Internet (2012). I’m currently signed up for Angler’s Rest’s Book of Me 15 month series as well, with which I’m very much behind. Combined with various A to Z April posts and other daily or monthly posts I’m reluctant to get involved in more as it starts to feel like I’ve got a tiger by the tail. However Shauna’s topic is a great opportunity to personalise my own stories to her theme so I will probably join in from time to time where the topic is relevant to my own history. I have such a migration mania that I couldn’t possibly not participate in her second topic, Internal Migration. Whenever I get on the topic of migration it turns into a long yarn, so grab a coffee and a comfy chair, and read on for a while. With so many railway people in my family tree, it’s inevitable that they’d be a peripatetic lot. Some moved across vast distances, others only relatively short postings when in their early years. My greatest internal migrants would be the Sherry family who arrived in Rockhampton, Queensland, from Ireland where they also worked on the railway: the Dublin, Wicklow and Wexford Railway line judging on their progressive movement through those counties. On arrival, the patriarch James Sherry, changed most of the family’s name to McSharry. Oral history suggests this may have been to piggy-back on the fame of James McSharry from the railway construction firm, O’Rourke and McSharry. Who knows whether this is fact or fiction. I suppose it’s also possible that the two families may have been connected but that’s an exploration I’ve yet to undertake. Whatever the reality it has certainly caused immense confusion when trying to unravel what happened to my own family over the years, especially the mystery of what happened to my James McSharry. 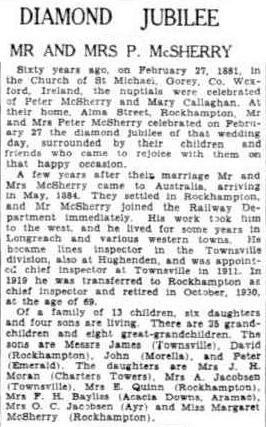 The McSharry family moved from Rockhampton where they arrived, to Maryborough (why?) for a number of years, then back to Rockhampton where wife/widow, Bridget McSharry, settled and ran a boarding house until her death in 1900. 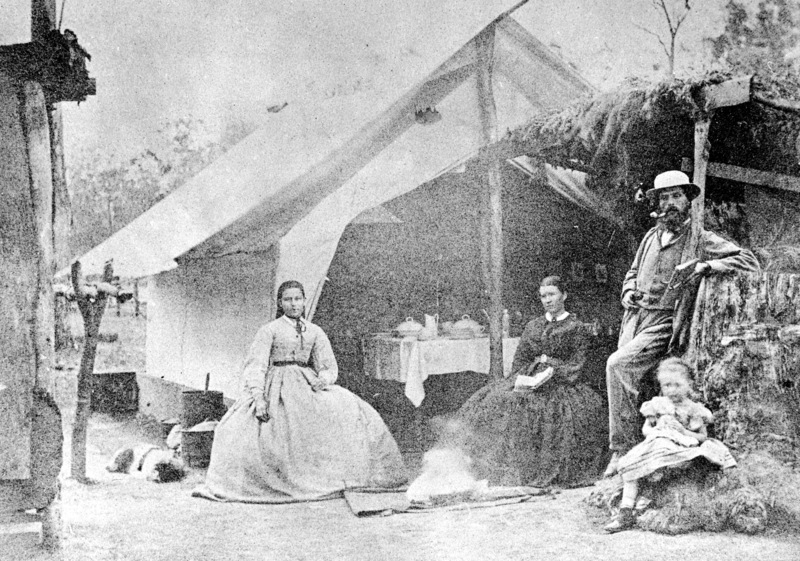 The adult children of this family moved around Queensland in response to work. 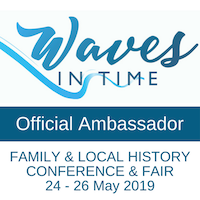 Early family events revealed at least some of these through death certificates, police staff files, Post Office Directories, electoral rolls, and marriage records. 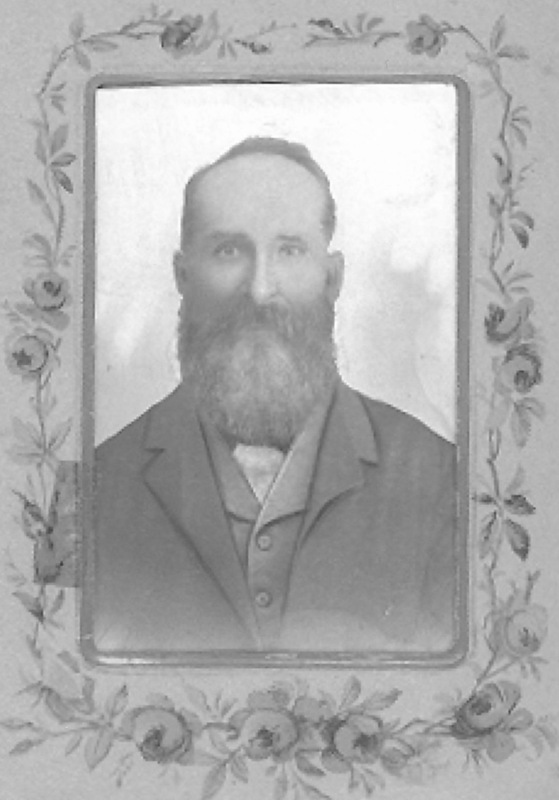 The eldest son of the family, Peter Sherry, arrived with his family a year after the rest of the Sherry family. Strangely he changed his name to McSherry rather than McSharry. 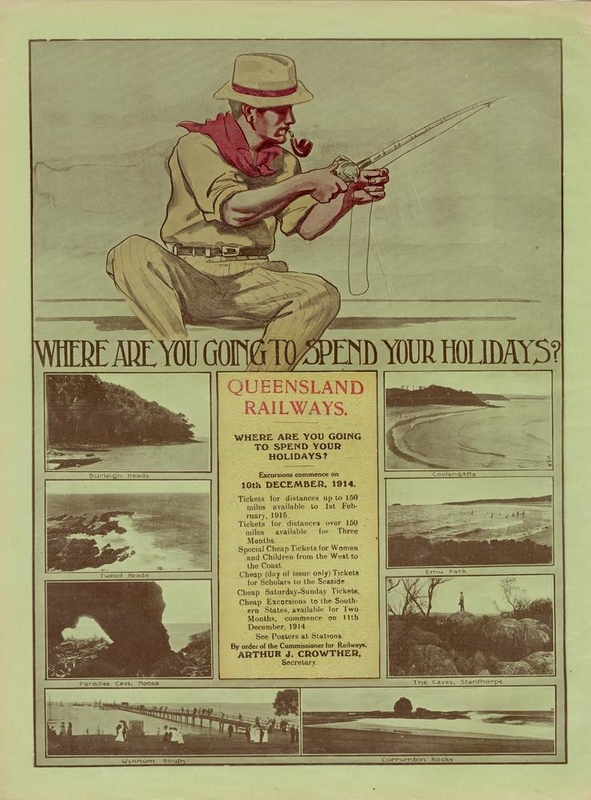 Within weeks of arriving in Rockhampton he had been recruited to Queensland Government Railways and so began his migration around the state. 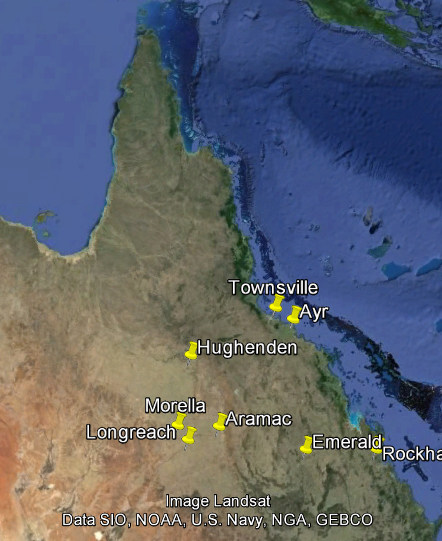 The family spent a long time in Longreach, then moved on to Hughenden and Townsville before being transferred to Rockhampton where they put down roots. Tracing this family’s internal migration has been greatly facilitated by Trove as it has revealed stories that would otherwise never have been known. I have a full copy of Peter’s railway staff record which tells the bare bones of his positions and postings over the years: a great base for knowing where they migrated internally. 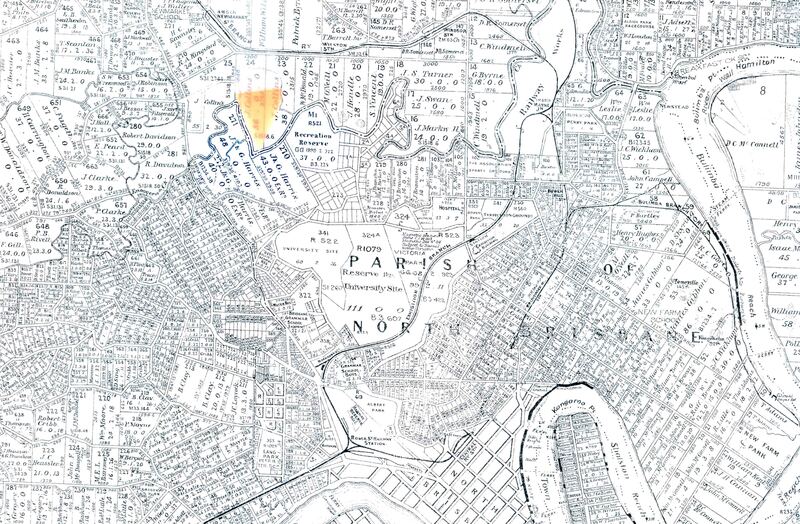 Obviously the children of this family moved with Peter and Mary McSherry in their childhood, but even in their adulthood, the migrations continued. 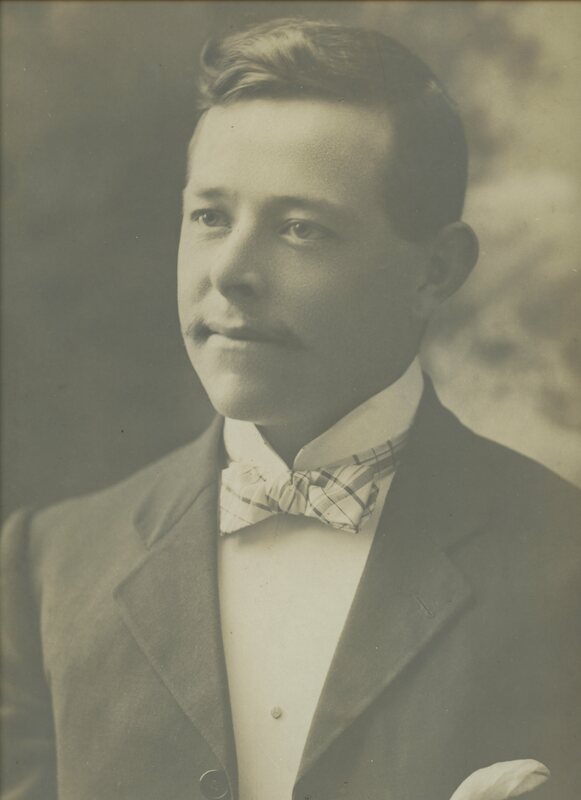 My grandfather James, worked in Hughenden then later Townsville before moving to Brisbane so his children could obtain jobs, or so the oral history goes. Given the move occurred in 1942, mid-war, in the thick of the Brisbane Line concept, I have to wonder whether it was because he was needed to build the railway carriages further from risk of Japanese invasion. Once again my sources are: railway staff files, Trove, oral history. 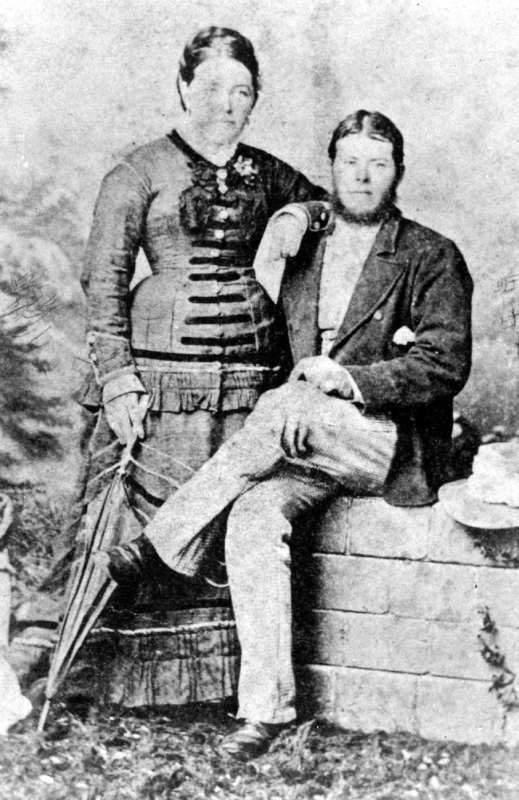 George and Mary Kunkel, of whom you’ve all heard often, settled in Ipswich after their marriage there in 1857. While there George worked in a number of occupations: servant (pre-marriage), pork butcher and boarding house keeper. To all extents and purposes he was there all the time, after all there were children being born at regular intervals. Cobb & Co coach from National Library Australia, out of copyright. It was a court report, that enlightened me differently. 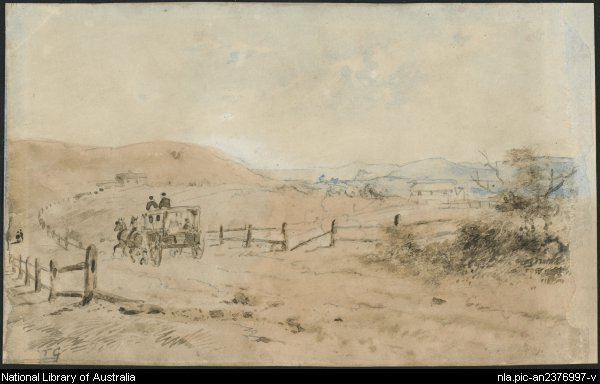 While the family was settled, George was also working on the Tooloom goldfields in northern NSW as a butcher. Further reading on Trove revealed that there were regular coaches between Tooloom and Ipswich so plainly he could get home fairly often, perhaps to restock his supplies. Recently I posted how he’d had a financial setback and this may have prompted their move westward, reportedly working on the railway, or perhaps again supplying meat. 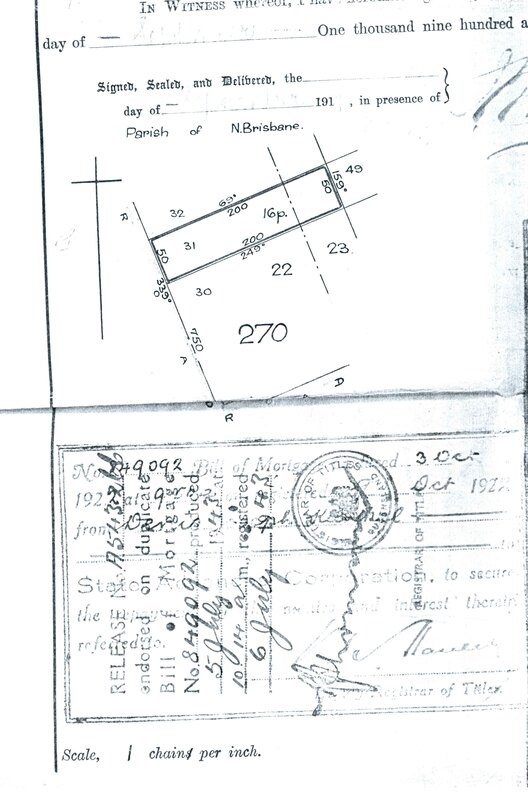 The next precise confirmation of where they lived was at Highfields, via the school admission registers and through church baptisms and birth certificates. 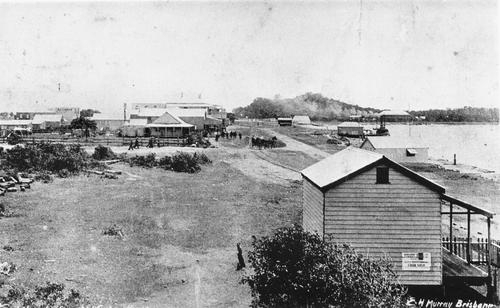 A Queensland railway camp, possibly Fountain’s Camp at Murphy’s Creek. 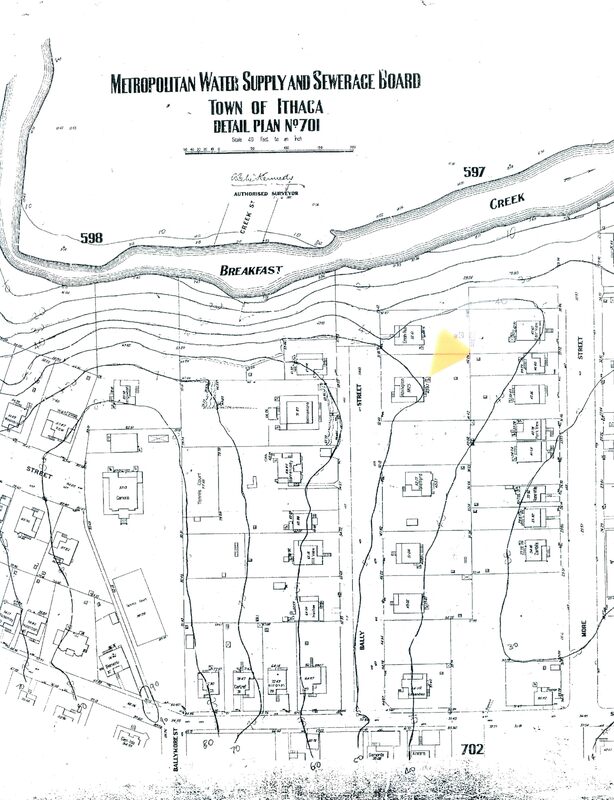 A few years later and the family would move a short distance to the Fifteen Mile between Highfields and Murphys Creek where they would take up farming and settle. George supplemented the farm income by working for the railway as a labourer. 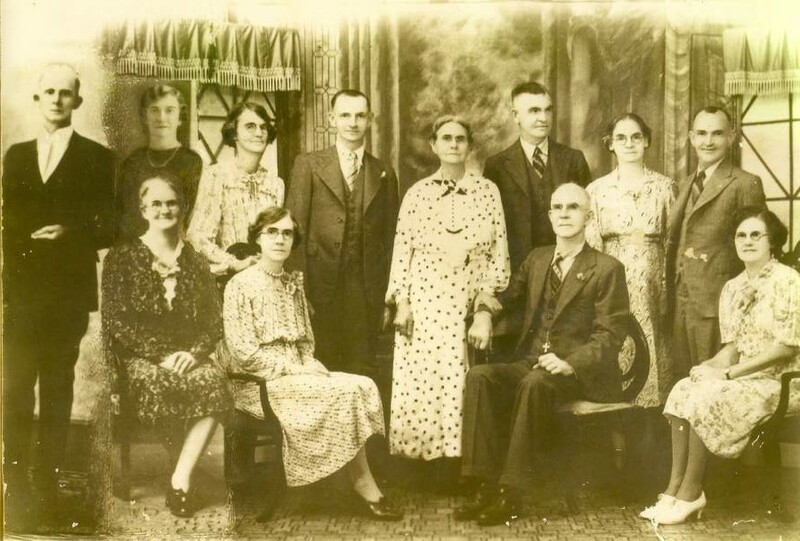 Kunkel descendants, many of them railway workers, also moved around south-east Queensland and west as far as Roma with postings as the railway was constructed. 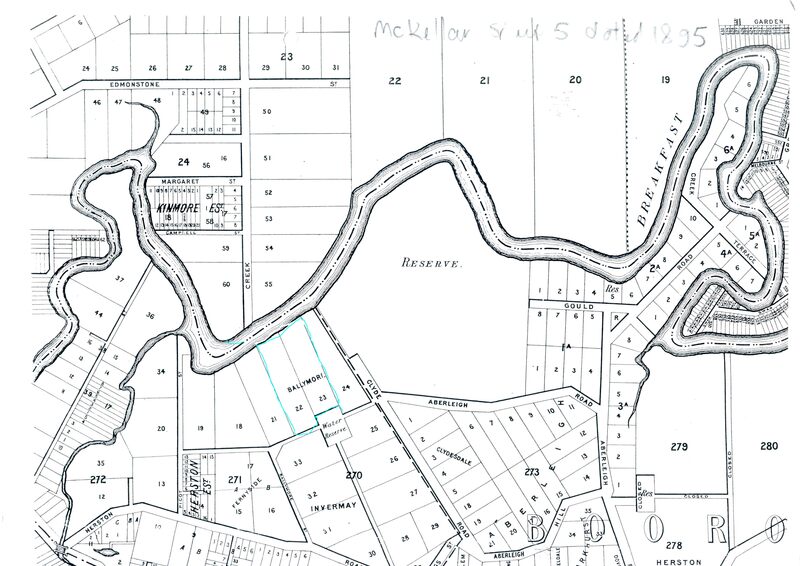 One family branch moved to Mackay in northern Queensland and set down roots cane farming. Records: court reports, school admission records, baptisms and birth certificates, railway staff files, land selection records. The Gavins were short-migration people. Denis came from Kildare in Ireland and his wife, Ellen, from Wicklow. They married in Dublin before they emigrated though it’s not known when they each made that internal move. 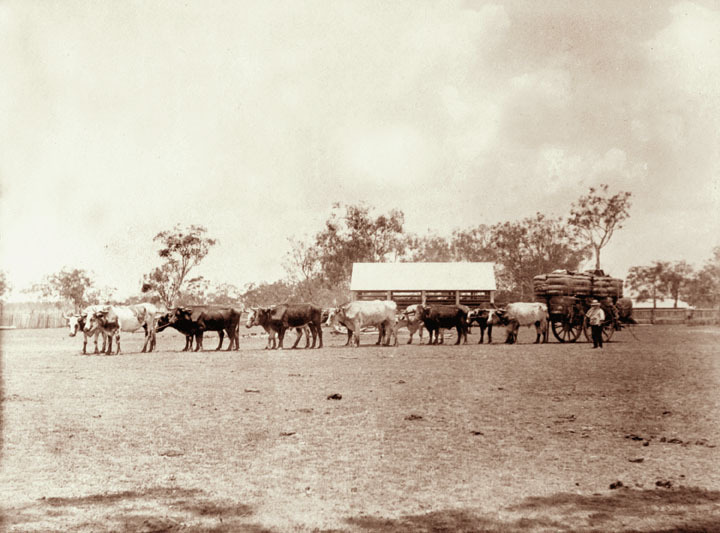 Bullock dray loaded with wool, Qld 1898. 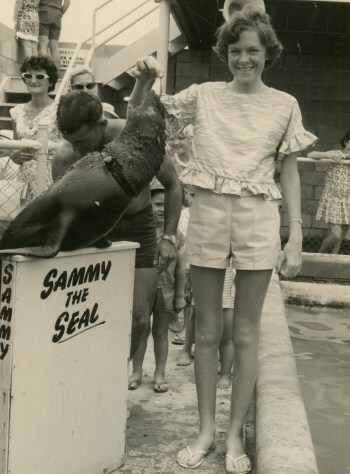 Image from Qld State Archives, out of copyright. On arrival Denis went to Binbian Downs station (per his obituary) as a carrier, then to Dalby, Toowoomba and Crows Nest. Although the distances are short by Australian standards he would have covered a lot of ground carrying wool on the bullock dray from Binbian Downs which is out near Wallumbilla. 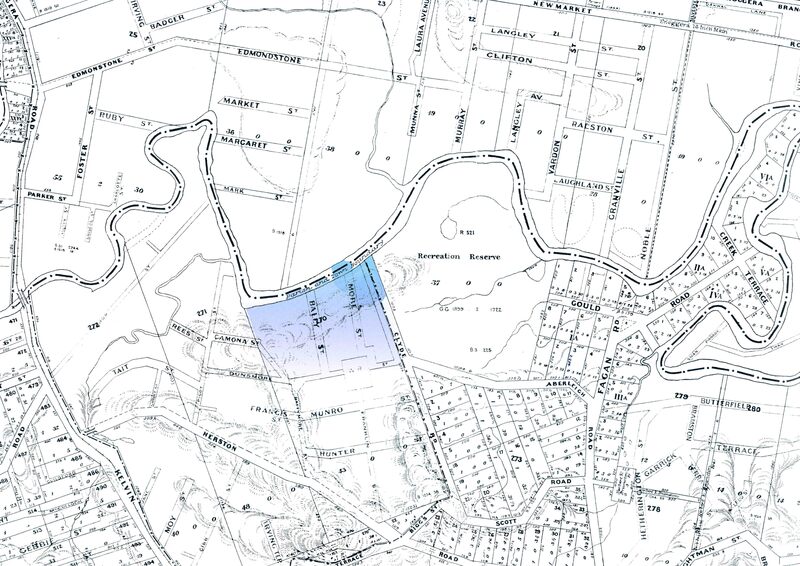 Like the other Gavan/Gavin families with whom they interweave, but are unrelated, they remained on the Darling Downs. Records: Convict records (the Galway Gavins), birth certificates, employment records, death certificates, re-marriage certificates, obituaries, maps, Trove. These families were my stay-at-homes. The Kents and Partridges both went straight to Ipswich on arrival as far as I can tell. There they remained until their deaths, though descendants moved around the state. The McCorkindale exodus from Glasgow commenced with Peter and Duncan’s arrival in Sydney in 1900. Well actually I eventually discovered it commenced with an uncle’s arrival quite a bit earlier. After the death of their father, their mother (Annie Sim McCorkindale) emigrated with the rest of the family excluding one stay-put son, Thomas Sim McCorkindale who’d moved to London. Close analysis of the shipping lists showed that other family members had arrived as well. 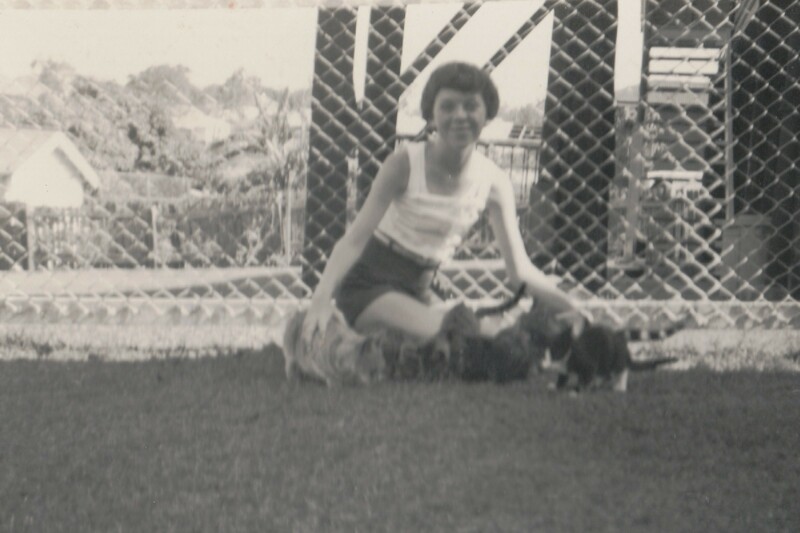 Once settled in Brisbane on arrival, Peter joined them, and the family remained there except for country excursions to decimate the opposite in bagpipe and Highland Dance competitions. Duncan McCorkindale moved between Sydney and Canberra where he was part of the teams that built the nation’s capital, and their Caledonian Society. Records: Trove, shipping lists, BDM certificates, church registers. Stephen Gillespie Melvin’s family was tied to the sea, with generations of merchant seamen. No surprise then that they were born to be migrants, both internal and international. After the death of his wife, Janet, soon after arrival SGM settled in Ipswich, Queensland where he promptly established a well-regarded confectionery shop. He must have gadded around a bit though because his land portfolio was scattered around the south east of Queensland. 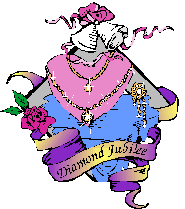 But it was his foray into mining that brought him undone, resulting in insolvency and a little jaunt to jail. 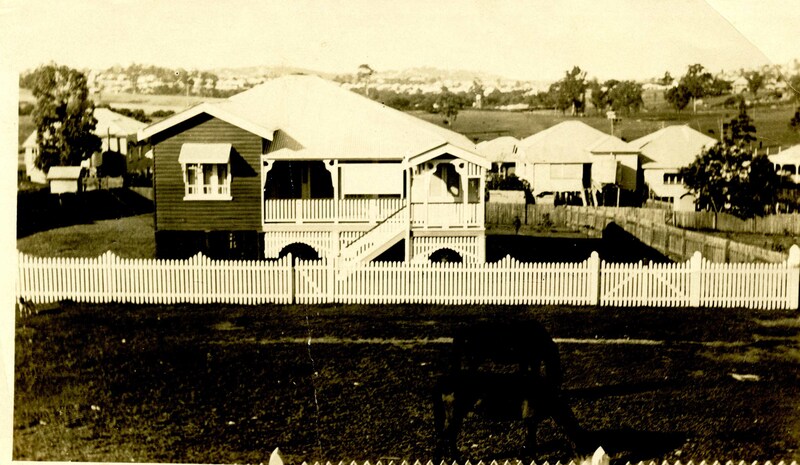 Not long after being released from jail, the family moved to Charters Towers which was then experiencing a gold boom. No doubt escaping his notoriety would have been on his mind as well, though the coverage of the trial was so extensive that it would have been known in Charters Towers as well. Around the time of his second wife’s Emily’s death, SGM started acquiring businesses and land in Sydney and thus the younger members of his family set down their roots in New South Wales. Meanwhile he continued his migrations on a temporary basis, as he travelled back and forth to the UK for business. One such migration became permanent however when he died in London. Records: BDM certificates, church registers, shipping records, Trove, court reports, gaol records, insolvency records, wills. I know from my Irish research that the emigrants were keen to follow their own destiny even at the expense of family connections, but the internal migration of Bridget O’Brien (later Widdup) is one that puzzles me. 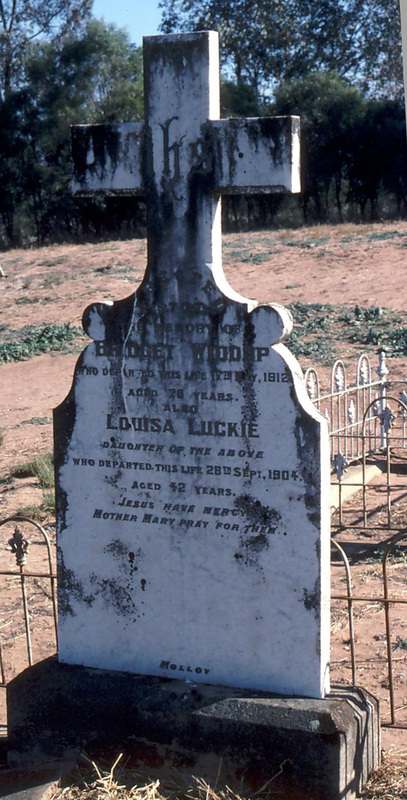 Bridget (O’Brien) Widdup’s grave in the Urana cemetery. If Bridget was in Ipswich with her sister Mary after their long emigration journey, why did she decide to move south to the Albury area, and to Urana? This has always mystified me, since I knew from her death certificate that she’d spent one year in Queensland. She had met her future husband, John Widdup, on the ship as the story goes so she moved to be with him. Her employer in Queensland relocated and offered her a position elsewhere. It’s the Whys of family history research that keep us on our toes. 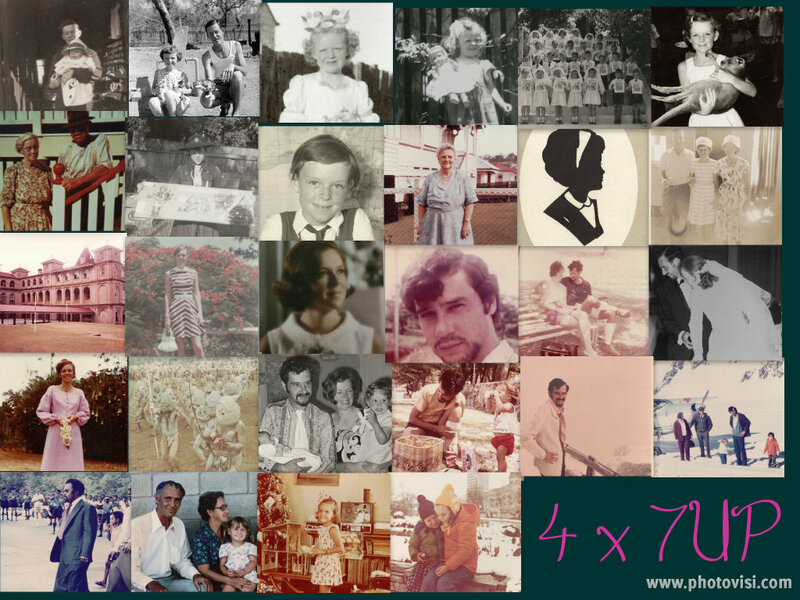 So there you have it…the peripatetic wanderings of my families over the years. It has always seemed to me that having made the long journey to Australia, rather than the comparatively short hop across the Atlantic, they were not daunted by further moves if they satisfied their occupation or life goals. Today’s Sepia Saturday image is “men in braces”, or perhaps working clothes, or newspapers. In a way my post combines all of these elements. Among my photo collection is a photo of my grandfather taken for a news story. 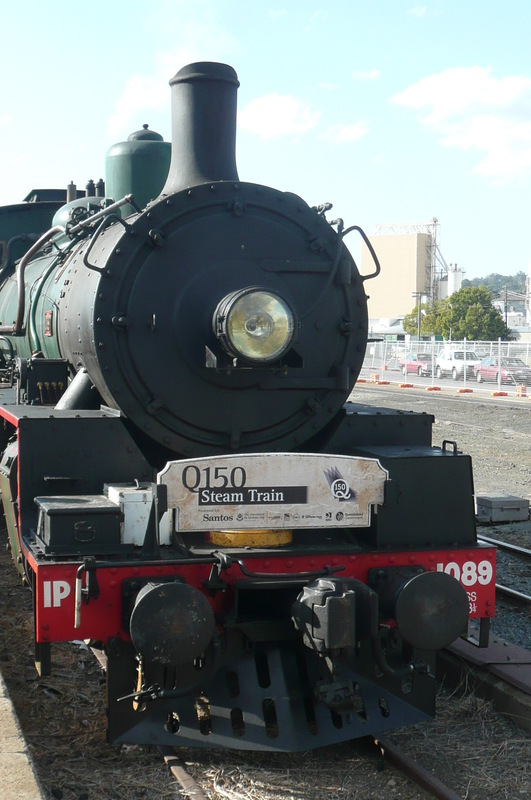 James Joseph McSherry was an incredibly hard worker, having notched up a normal lifetime’s service with the Queensland Railways, building the old red rattlers at the Ipswich Railway Workshops and before that in the Townsville Workshops. Not content to just take his ease on official retirement, he signed up with Commonwealth Engineering (ComEng) to repair 1500 wagons in three years, completing the task (with his team) in two years. I suspect he was a demanding boss probably having high expectations of his working team. By the time of this story he was 74 years old and had a staff of 254. Unfortunately the newspaper clipping is not identified by date or name but I suspect it may have been in The Telegraph and would have been sometime in 1956. It wasn’t as if this was all he was doing either, because as an active member of the Hibernian Society he did lots of carpentry jobs for them and people in need. Even in his late 70s he was painting St Mary’s church West End in Brisbane and the Legion of Mary hostel in Indooroopilly. He was a dedicated worker for the Catholic church all his life, yet on his death there was very little representation at his funeral….sad. Another of my photo favourites! 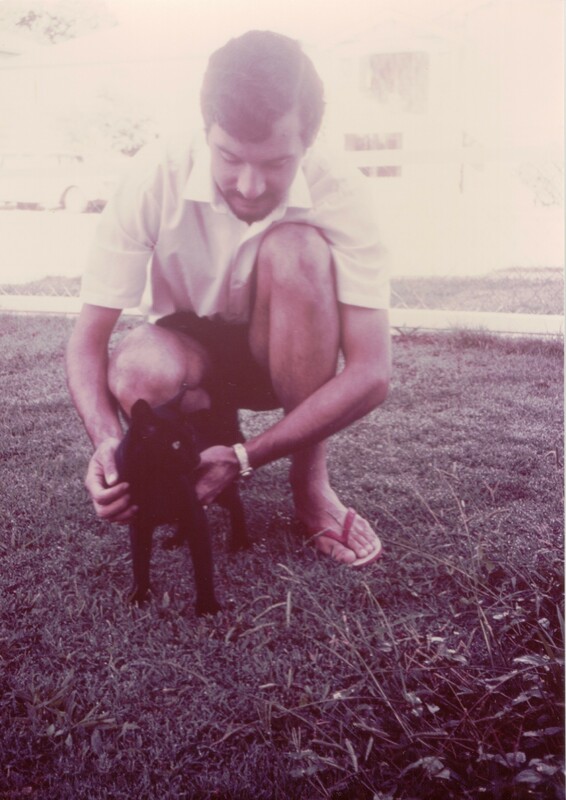 I’m a huge devotee of cats and kittens and have been since I was a little girl, thanks to my father’s equal addiction. All my life we’ve shared our homes with one or more cats. Each one has a special place in my memory. When I was a child, one would always walk to the end of the street with us, and another would come all the way down a couple of blocks to the public phone booth. Small wonder that Mr Cassmob also met this vital selection criterion for a future partner…neither of us can walk past a cat without saying hello and asking politely for a pat. 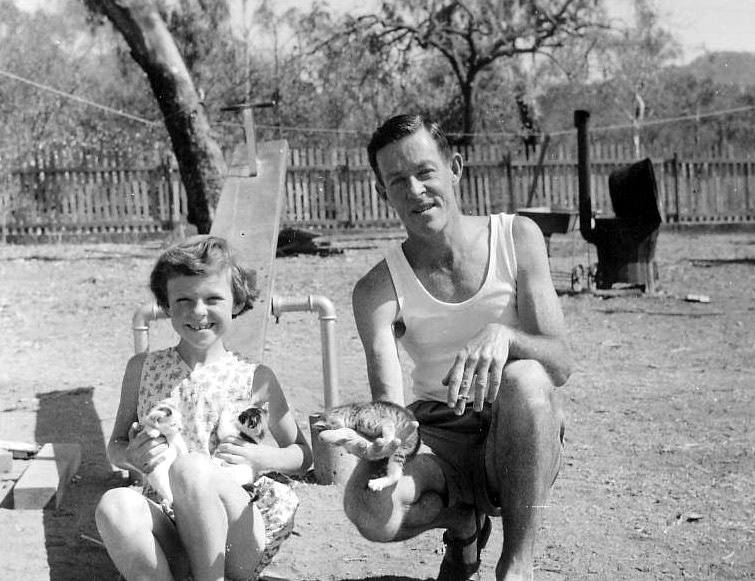 In this early photograph my father and I are in the back yard of the flats where we were holidaying at Picnic Bay on Magnetic Island in 1956. Presumably the kittens just happened to be nearby and we couldn’t resist them. Magnetic Island was one of our semi-regular holiday places, partly because we could get there using Dad’s railway pass, and partly because my mother still had friends there, including her closest friend. I talked about my love for the place in the 52 weeks series. But back to this particular holiday which has become part of our family’s folklore. 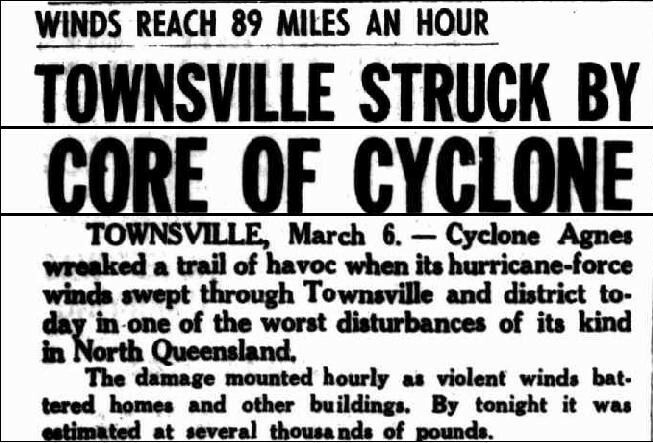 You see while we were there in 1956 Cyclone Agnes came through and threatened to blow us all away. The flats were only fairly flimsy fibro buildings with corrugated iron roofs so we were certainly at risk. My most distinct memory is asking Dad to take me to the backyard toilet in the midst of the storm. Why on earth he was willing to do that I don’t know, because I’m sure I’d just have told my kids to use a bucket! I remember the palm trees bending in the wind, like ballerinas touching their toes. Dad always said that the wind gauges at the Garbutt Air Force base snapped in the strength of the wind which fits with the news stories of the day. Afterwards we were trapped on the island for a few days and I’m told there were no fresh supplies of milk or bread. My memory says that we were evacuated by Army amphibious duck to Townsville but Mum doesn’t recall that at all, so did I imagine it? Soon after we trained up to Cairns where I have a vivid memory of the Barron Falls in full spate, and then travelled to Green Island where the seas were so rough I can still remember the boat dipping into the waves on each side. Story goes that only Dad and the engineer weren’t sick on the voyage. Everyone else was hanging over the side of the boat. Or, as Mum always said, “green on the way over and green coming back”. 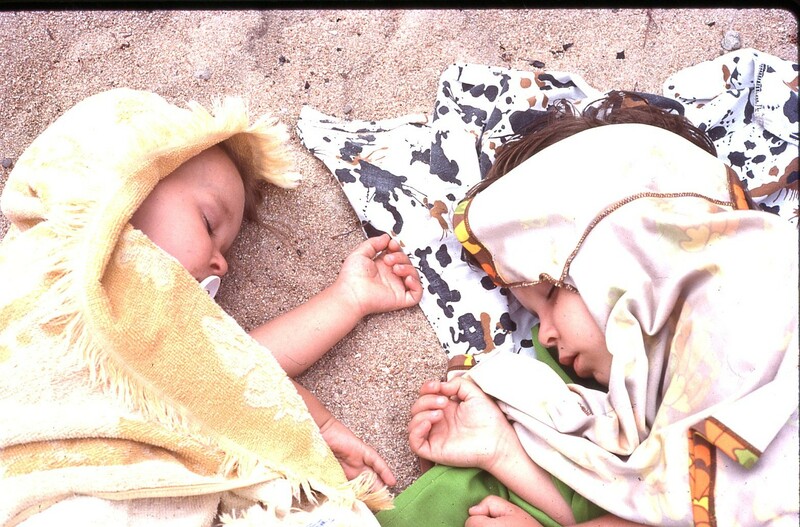 Many years later we would take our girls for a visit to Maggie, on a day that was much more tranquil. On the return trip to Brisbane the Sunlander train waded across the flooded Burdekin River where the waters were lapping the sleepers on the bridge as we crossed. Dad used to say that the fireman pushed away a log that was up against the sleepers only to discover it was a crocodile. A tall tale or true? I don’t have a clue! Mind you, being a fellow railwayman, Dad ofter heard stories that weren’t shared with all the passengers. 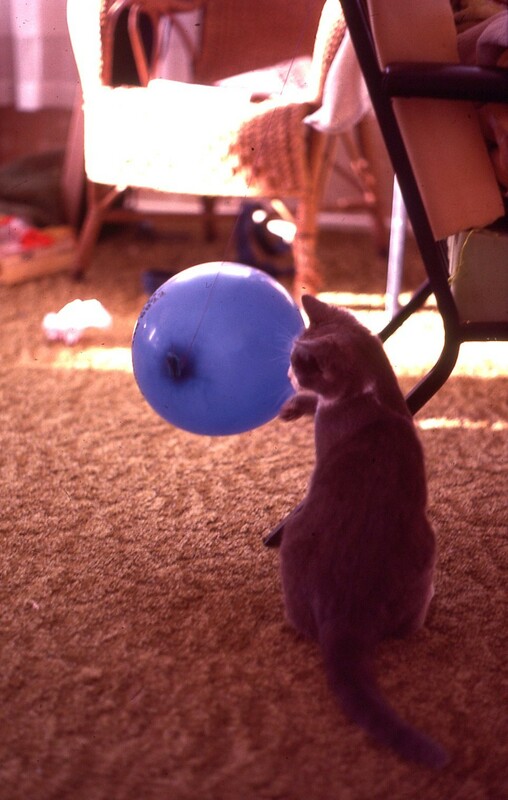 Socks’ mother was fully-wild, but Socks was the most beautiful cat. This post is dedicated to all my feline friends who’ve given me so much love and affection over the years: Chips, Tammy, Sooty, Tabitha, Pedro, Brandy, Socks, Ginger Megs, Kizzle and Springer. Each had their own distinct personality, but I could wish Springer, my current young furry-friend, would extend himself to a few more cuddles….maybe he’s still in that teenage phase where boys won’t cuddle their families <smile>. Unfortunately Pedro was chased away when we moved to our 2nd Goroka house- by our next cat! We never knew if he wound up as a fur hat or in the cooking pot in a village because we never found him.